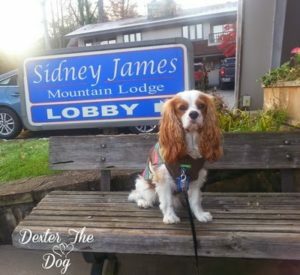 Dog-Friendly Gatlinburg, TN Dexter The Dog and I headed to Gatlinburg, Tennessee for a big Cavalier King Charles Spaniel event! 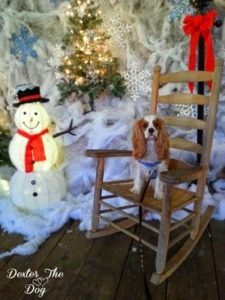 Our second annual Cavapalooza was going to take place in Gatlinburg Tennessee with over 100 Cavaliers. 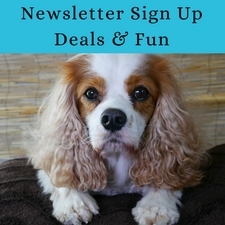 I would also present a dog training workshop: Barking Mad. 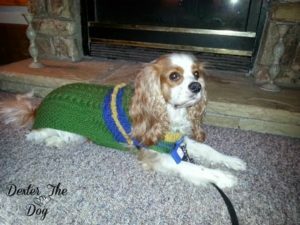 Our dog event was being held at The Sydney James Mountain Lodge. 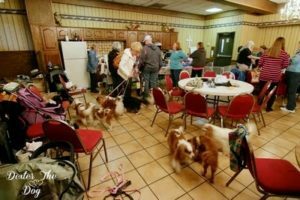 The dog-friendly lodge had a wonderful meeting area of 1600 square feet, with a great full kitchen set up. This was a perfect spot to host our dog event. We were able to pack a lot of dogs and their humans into the room. The staff at The Sydney James Mountain Lodge were very friendly and helpful throughout our weekend stay. 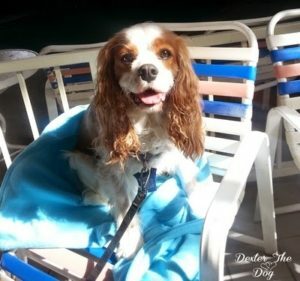 Dexter and I often frequented their Pool Side Cafe. Although Dexter could not go inside the cafe itself, he did wait out in the pool area while I ordered. They were kind enough to let me know when my food was ready so he did not have to sit out there by himself for long. They make a mean hamburger, let me tell you! 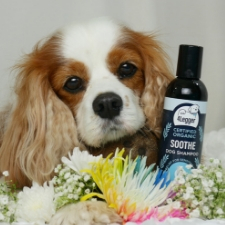 On one of our days, RIK Photography came out and provided photo shoots of the guest and their dogs. They did an amazing job and got some really good shots. I can’t recommend them enough. You can check out some of the out takes here on their Facebook page. 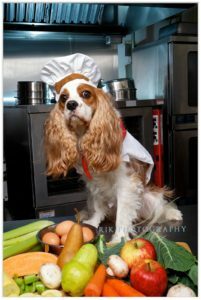 We also set up a second appointment with them for photos for our upcoming dog cookbook! Update-What’s For Dinner, Dexter? has been released! Although we did not spend much time venturing out in Gatlinburg, we did take one jaunt uptown to grab some dinner at Bones Barbeque. The dogs were not allowed to go inside, so we took turns ordering & took it back to the lodge. I ordered the smoked chicken sandwich with sweet sauce on the side and it was very tasty and moist. On our way to the restaurant, I saw a cute photo opportunity so I snapped a photo of Dexter The Dog in this winter scenery. I just wish it was lighter outside or I had my actual camera with me because this could have easily been a Christmas card! In the evenings, Dexter & I stayed in the dog-friendly Alpine Mountain Chalets. 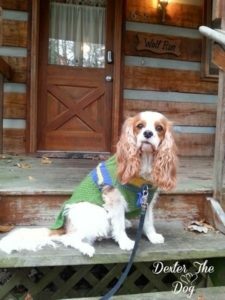 These were wonderful dog-friendly cabins in Gatlinburg, Tennessee. More specifically, we called Wolf Run home! 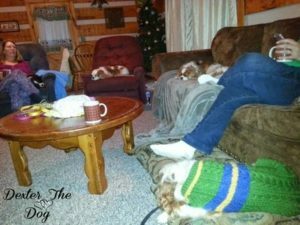 It was a very nice & cozy dog-friendly cabin with everything we could have asked for. The area was very nice and quiet, and had plenty of private space to walk around and do doggie stuff. Inside, we had all the amenities, including a gas fireplace that proved to be handy! 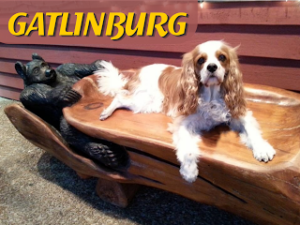 We had a wonderful time in Gatlinburg, Tennessee. It was a fast and furious weekend full of dog fun. I think Dexter and I will have to come back for a week to really check out the area. 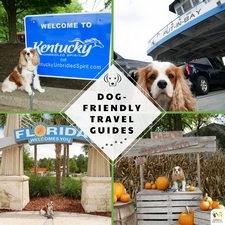 Have you traveled to Tennessee with your pets? Tell me about it in the comments. 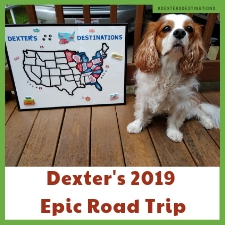 You and Dexter certainly do a lot of traveling. I’m pretty sure I’ll have a list of dog friendly places all across the U.S. when you’re done. This looked like such a fun time! 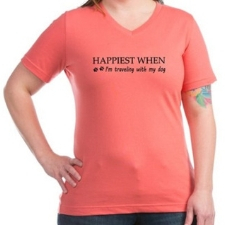 I can’t wait to start traveling more now that spring is here! I so have spring fever! Lovely trip. I can’t wait to see your adventures.